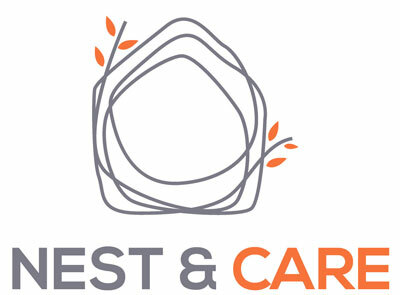 NEST & CARE is a Home Care Agency which provides Non-Medical and Nursing Services in Montgomery County, MD. Our services have been specially designed to enable seniors to live safer, brighter, and more enjoyable lives from the comfort and security of their homes. Our services are, however, not limited to seniors – we serve a wide variety of clients from the disabled to those recovering from various conditions like childbirth, accidents, surgery, illnesses, and other situations which may require skilled or non-skilled in-home care. Our Nursing Services are provided by Licensed or Registered Nurses, while highly trained caregivers provide our Non-Medical In-home Care Services under the supervision of a Registered Nurse. From companionship, meal preparation, grooming, light housekeeping, transportation, and medication reminders to memory care, tube feeding, diabetes management, wound care, patient and family education, and more, our services are open to all regardless of race, religion, nationality, or socio-economic background. Our administrative staff, nurses, and caregivers share a deep-rooted compassionate and caring attitude – something that allows each one of our clients to receive the care they deserve in an honorable, dependable, and compassionate way. Our caregivers have attained the highest levels of training. In addition to a home care training program, we ensure that they have also undertaken First Aid and CPR training before being rostered. That’s not all, they all have to go through a comprehensive investigative procedure which includes background checks and child abuse clearances before being considered for employment with us. Our mission is to provide the best Medical and Non-medical in-home care services to the community by having a team-based approach to the care of our clients and families. We believe that everyone has a right to be treated with dignity and respect. As a result, we can boast of having a reputation of treating our clients like family. By setting the bar higher in home care, we want you to feel confident that you or your loved ones are getting quality care that is compassionate, respectful, accessible, and affordable. With just a little extra help from our licensed nurses and trained in-home caregivers, you or your loved one can once again enjoy life in a safe, independent, and confident way.